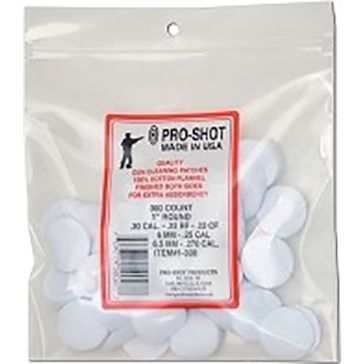 .40 Cal./10mm/.41 Cal./.44 Cal/.45 Cal. 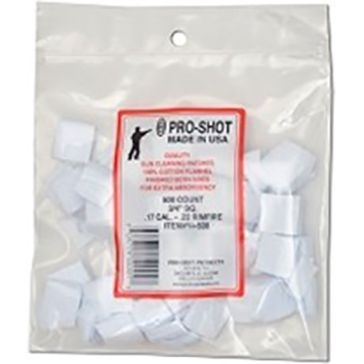 .30 Cal./7.62mm/.303 Cal./.308 Cal./8mm/.338 Cal./ .35 Cal. 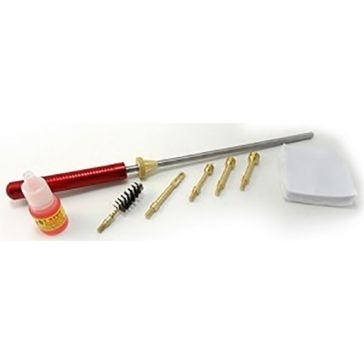 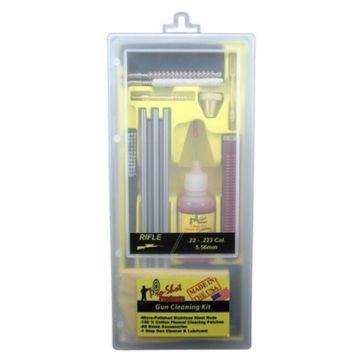 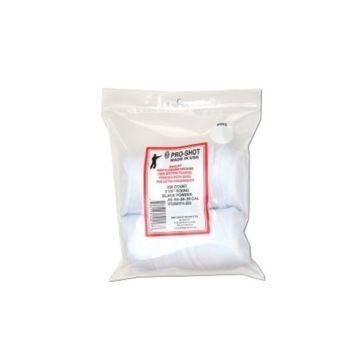 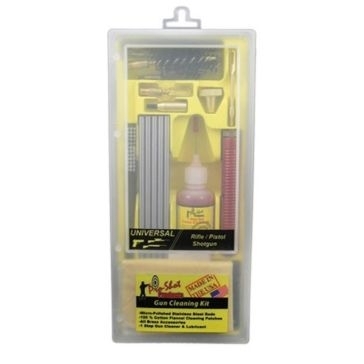 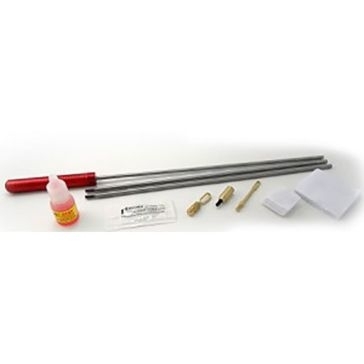 Pro-Shot 6.5in Pistol Gun Cleaning Kit .22 Cal. 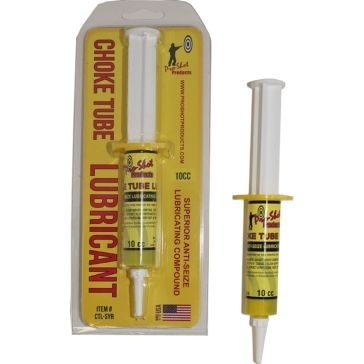 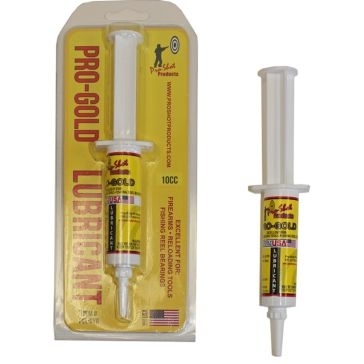 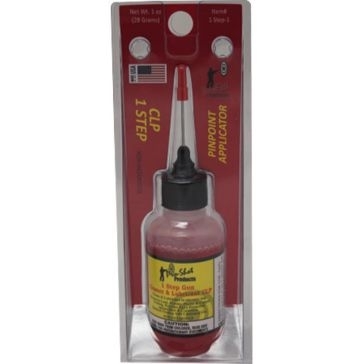 Pro-Shot Solvent/Lube-Needle 1-Step Gun Oiler 1oz. 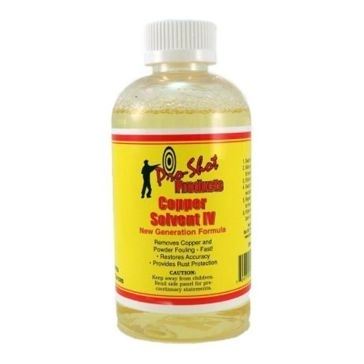 Pro-Shot 1-Step Solvent/Lube Gun Cleaner & Lubricant 8oz. 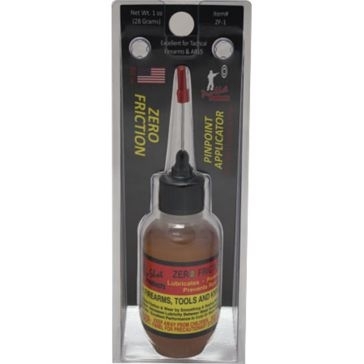 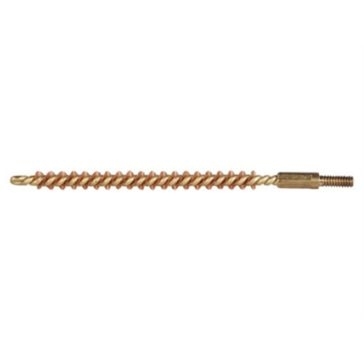 Pro-Shot Zero Friction Needle Oiler 1oz. 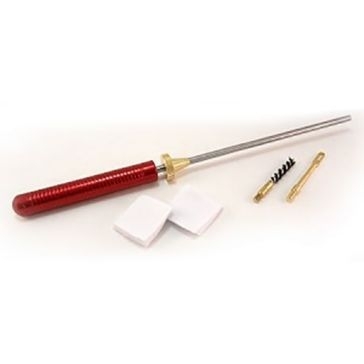 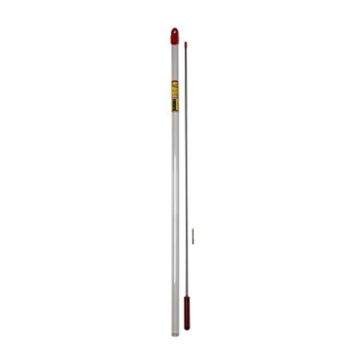 Pro-Shot 32-1/2" Rifle Cleaning Rod w/ Jag .17Cal. 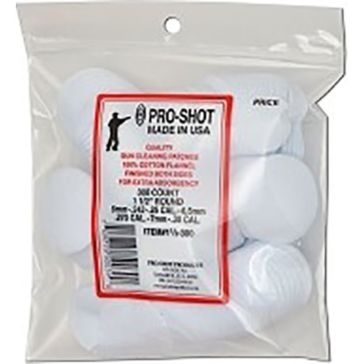 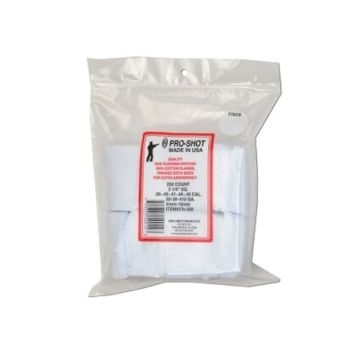 Pro-Shot Gun Cleaning Patches 250ct. 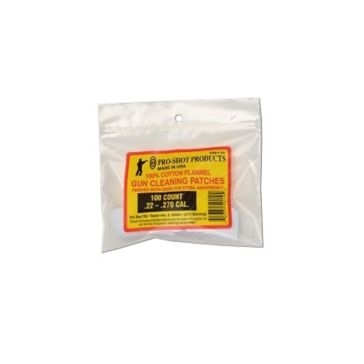 .38-.45Cal./.20-410Ga. 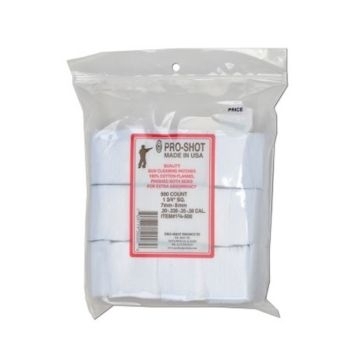 Pro-Shot Gun Cleaning Patches 250ct. 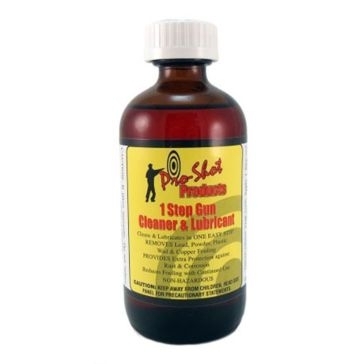 .45-.58 Cal. 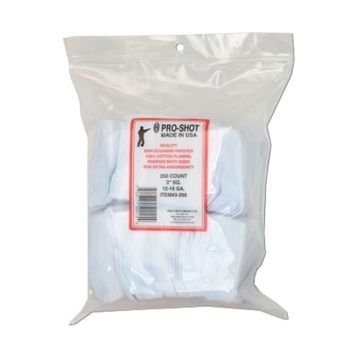 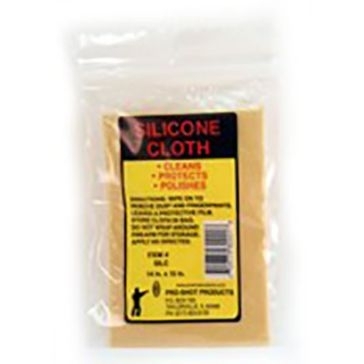 Pro-Shot Gun Cleaning Patches 100ct. 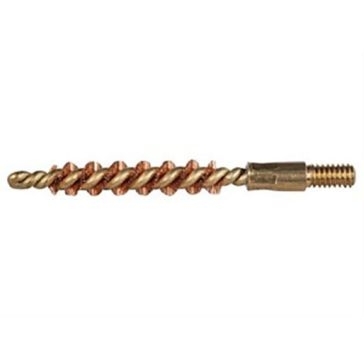 .22-.270 Cal.